Jorge Ferraez is Co-Founder and President of the Ferraez Publications Group, which edits three successful magazines in two countries: LideresMexicanos, El Mundo del Petroleo in Mexico and Latino Leaders in the U.S. As a Bi National businessman, he is in charge of the editorial content of all three magazines and the collateral media developed from the original concept. In the U.S. , Latino Leaders is one of the most successful magazines in the Hispanic Market with a unique concept of profiling the most influential Latinos, focusing on the movers and shakers, new emerging leaders and connecting them with each other. With nation-wide circulation, the magazine has become the who’s who publication the Hispanic community completely devoted to interviews and articles on leaders, events and conferences involving these leaders. 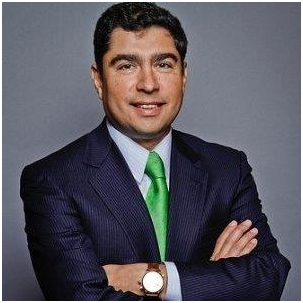 Outside his responsibilities as a business owner and editor, Jorge is also a member of the Board of the New America Alliance, an American Latino Business Group and PRIMER Network a group of high profile Latino Executives. Jorge is also Board Member of The American Heart Association.